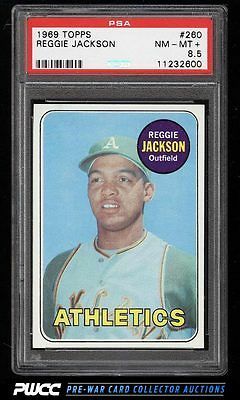 *Auction 7, Vintage Round 2* Spectacular Jackson rookie on the auction block this month. The offered '8.5' displays many attributes of a MINT card and is deserving of attention. Wonderfully centered with four very sharp corners and flawless edges. The card displays stark white borders with impressive print and focus for the issue. Among the better examples we've brokered in recent months and deserving of attention. One of nearly 20,000 cards, lots, and sets up for bid in our 7th Auction of 2016. Click on the link above to view the other PWCC auction lots.